NOVATO, Calif--(BUSINESS WIRE)--The Buck Institute for Research on Aging, Insilico Medicine, and Juvenescence Ltd announced today that they have formed Napa Therapeutics, Ltd to develop drugs against a novel aging-related target. The Buck Institute is one of the leading research centers in the world focused solely on research on aging and the elimination of age-related disease. Insilico Medicine is an AI company focused on a range of verticals devoted to aging. Insilico Medicine stands to earn more than $100M in milestone payments should the program be successful. Juvenescence is a company focused on developing drugs to modify aging and the diseases of aging. “We are very happy to partner with the Buck Institute and Juvenescence around a very promising set of targets in a pathway overlooked by the pharmaceutical industry. Aging research is among the most altruistic causes that will improve and extend the lives of everyone on the planet and reduce the pain and suffering associated with the age-associated diseases. However, in order to scale, our efforts must become sustainable and provide reasonable returns to investors. If successful, Insilico Medicine alone stands to earn in excess of $100 million in milestone payment from this deal”, said Alex Zhavoronkov, PhD, founder and CEO of Insilico Medicine. Napa Therapeutics, Ltd. is a biotechnology company focused on a novel target linked to one of the fundamental processes of aging. A privately held British Virgin Islands company with an office in the Isle of Man, Napa is developing small molecule drugs to address this target. Juvenescence Limited is a company focused on developing therapies and drugs to increase human longevity and complementary investments in related sectors. It was founded in 2017. The Juvenescence team are highly experienced entrepreneurs and drug developers focused on life science and commercial drug development. Juvenescence creates new ventures and invests time and money directly in both start-up and in conjunction with established longevity related companies offering operational support. Juvenescence believes that advances in science have made real the possibility of slowing, halting or potentially reversing some elements of ageing and is assembling a pipeline of therapeutic agents through joint ventures. 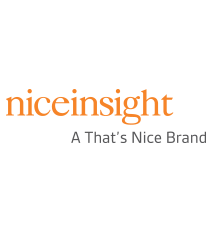 Nice Insight, established in 2010, is the research division of That’s Nice, A Science Agency, providing data and analysis from proprietary annual surveys, custom primary qualitative and quantitative research as well as extensive secondary research. Current annual surveys include The Nice Insight Contract Development & Manufacturing (CDMO/CMO), Survey The Nice Insight Contract Research - Preclinical and Clinical (CRO) Survey, The Nice Insight Pharmaceutical Equipment Survey, and The Nice Insight Pharmaceutical Excipients Survey. Insilico Medicine is an artificial intelligence company with R&D offices and resources in the US, Belgium, Russia, the UK, Taiwan and Korea, sourced through hackathons and competitions. The company and its scientists are dedicated to extending human productive longevity and transforming every step of the drug discovery and drug development process through excellence in biomarker discovery, drug development, digital medicine and aging research.